MOBILE SALON PROJECT — Salon FundRaiser . . . . . . . . . . STEP (1): SET UP YOUR PERSONAL SALON FUNDRAISER ACCOUNT . . . . . . . . . . 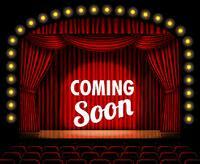 STEP (2): CREATE A FUNDRAISING CAMPAIGN OR PAY $100 FOR US TO CREATE ONE FOR YOUR PROJECT . . . . . . . . . . STEP (3): SHARE YOUR CAMPAIGN ON SOCIAL MEDIA THEN ASK FRIENDS AND FAMILY TO GIVE AND HELP SUPPORT YOUR PROJECT . . . . . . . . . . STEP (4): WHEN YOU REACH YOUR GOAL YOU CAN COLLECT YOUR MONEY IN AS LITTLE AS 30 DAYS . . . . . . . . . . . STEP (5): USE THE FUNDS TO FINISH YOUR PROJECT!!! . . . . . . . . . . . . . . . Here you go. A Dollar Donation. $5 DONATION will get you a BIG THANK YOU SHOUT-OUT for your DONATION! 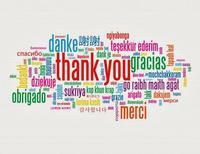 $10 DONATION will get Your Name Listed on our Website as One of our Valuable Donors. $25 DONATION will get you a Mr. 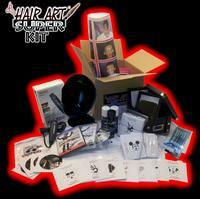 Hair Art "QUICK START" STENCIL KIT! 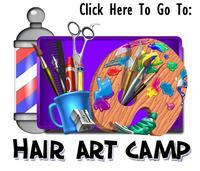 $1,000 DONATION will get you a (ONE WEEK) EARLY RENTAL of an UPGRADED CUSTOM MOBILE SALON BUS! Mobile Salon Project www.MobileSalonProject.com THANK YOU FOR YOUR ATTENTION. 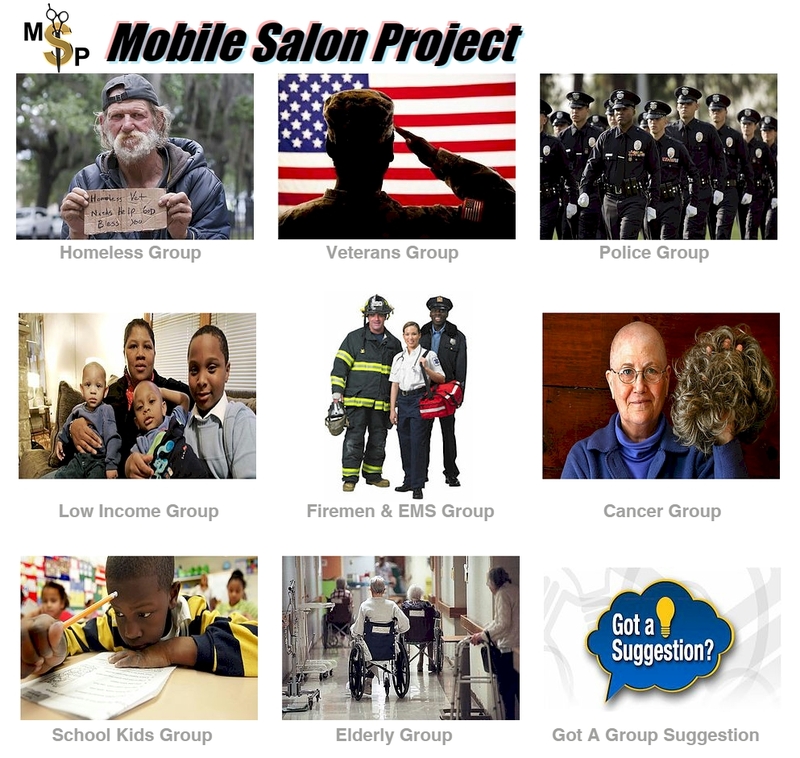 The Mobile Salon Project is a program the Shops & Salons NETWORK is bringing to the public by providing Haircuts and Hair Styling Services to the Homeless, Low Income and Underprivileged Families, the Elderly, the Sick and the Helpless. S&S NETWORK also has a program called S.O.S. (Service Our Servicemen) which includes highly skilled professional Hair Stylist trained to "Service Our Servicemen" all across the country. Servicemen like our Police, Firefighters, EMS Teams and our Veterans will be receiving much-deserved haircuts and hair styling services via specially equipped and designed Mobile Barber and Beauty Salon Shuttle Buses. 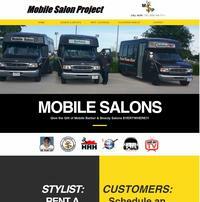 The Mobile Salon Project is owned and operated by Shops & Salons EXPRESS and the Hair Art NETWORK. The owner, Mr. Ronnie Mac, also known in the Barber and Beauty Industry as Mr. Hair Art, is the man in charge. He has expressed a deep passion for helping those in need and for providing a way for other Barbers and Stylist to help others in need. As The Mobile Salon Project get to expanding, there are preparations being made for donations to be able to be made directly to The Mobile Salon Buses that are rolling around everywhere. Donations like Food Drives, Clothing Drives, Employment Placement, and other similar services for the Homeless and Underprivileged to provide them the helping hand they need to rejoin our society as happy and productive citizens. With your help, our nation's people in need will receive the benefits and services they desperately need to get back on the road to being productive citizens again. They also will receive individual One-On-One evaluations along with their Hair Services from highly trained professionals to find out what type of person they truly are and how The Mobile Salon Project can be of Specific Help to them and not just another "Hand Out". From the moment a client is in the seat for service, Barber & Beauty Professionals will have the opportunity to get a better grasp of what their individual needs are through caring and compassionate conversation and evaluation. This process is an instrumental piece of the puzzle when providing the best possible service The Mobile Salon Project is looking to organize and execute. 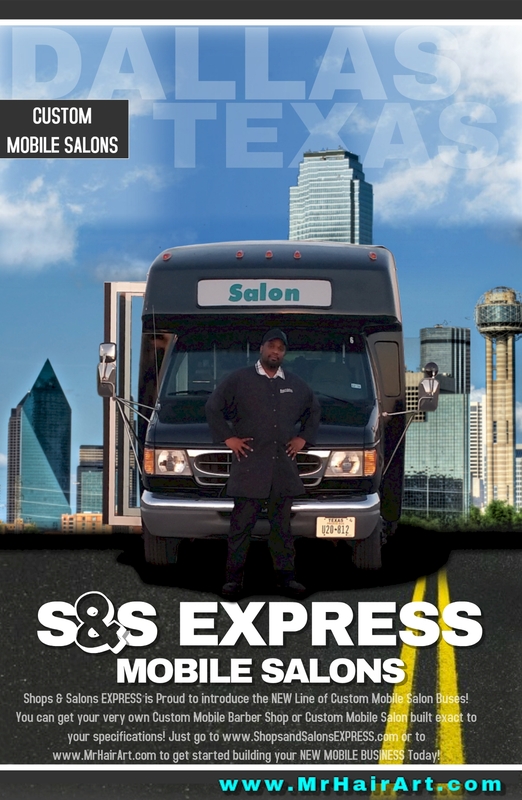 The Mobile Salon Project partnered with Shops & Salons EXPRESS is purchasing shuttle buses and converting them into Custom Mobile Salons Buses of all kinds. There is industrial style Mobile Salons set up to be clean and sanitary to sufficiently and safely take care of the homeless clientele. Rolling out to Homeless Shelters and even under bridges, these Mobile Salon Buses will help these people get back on their feet. To help the kids there is school inspired Mobile Salons Buses to roll up to the schools, day care centers and special needs schools to service the kids that need a helping hand. 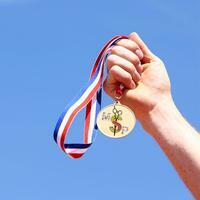 Even rewarding students that perform well in school. Anything we can do to encourage these kids to do good in school and not to go in a bad direction is a good thing. Other types of buses are being set up as Cancer Cure Mobile Salons. These buses are equipped to care for the sick. From the extreme cases of having to have their hair shaved off their head because of their radiation treatments, to creating the cancer sufferers custom wigs to wear and help build their self-esteem and further improve their chances of a faster recovery. There are handicapped and wheelchair accessible buses being converted to serve the Elderly in Hospitals and Nursing Homes who may not be able to travel to a Barbershop or Beauty Salon. Senior Citizens want to look better and feel better about themselves too. 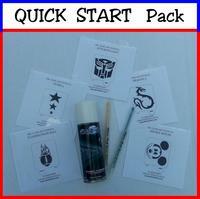 This is definitely needed from the servicemen who are out there putting their lives on the line for us. There are, of course, the S.O.S. Mobile Salons that will be rolling out to the Police Departments, Fire Stations, Military Bases, Hospitals and V.A.’s to “Service Our Servicemen” so they don’t have to waste their valuable Public Serving time traveling to Barber and Beauty Salons, wasting hours sitting and waiting for hair services. These professionally designed and operated buses will go to them to service them so they will be looking good and feeling good and ready to do good for the public. This service will give our servicemen more time to dedicate to helping all the 911 calls and people out there who need them on the job and not sitting in a salon waiting for a hair appointment. 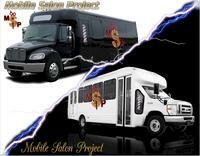 The Mobile Salon Project will roll out in Texas, New Mexico, Oklahoma and Louisiana first. There are plans to add on new Cities and States every month. The faster this program receives contributions and donations means the faster The Mobile Salon Project can spread across the country to help even more people. 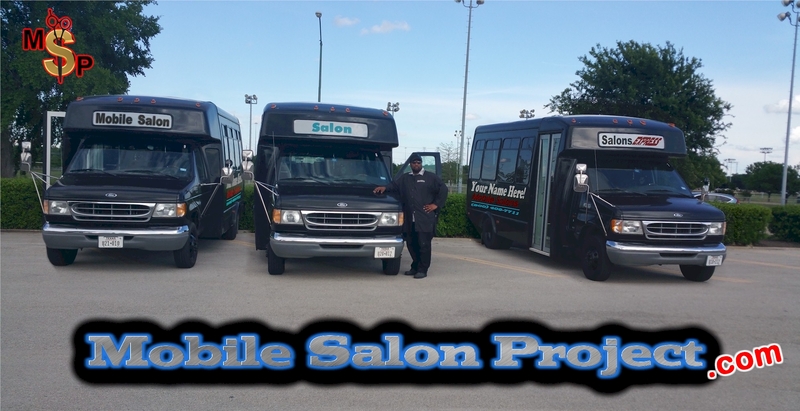 There is even a MOBILE SALON BUS RENTAL PROGRAM where ordinary Barbers and Stylist or Salon Owners can rent out these Mobile Salon Buses to go out and do business for themselves on an individual basis and all the proceeds from this program will go to funding The Mobile Salon Project.